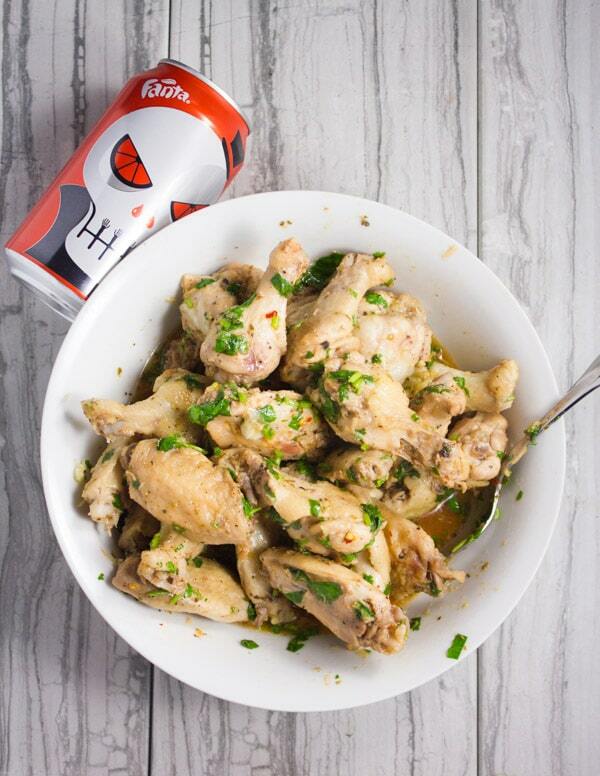 This Spicy Orange Baked Chicken Wings recipe will be your go to wings fix! It’s sweet, spicy, smokey and ready in minutes! Plus it’s baked, so you won’t feel guilty enjoying plenty of them, and neither will your friends! Are you guys feeling spooky yet? Well we’ve just started decorating today. 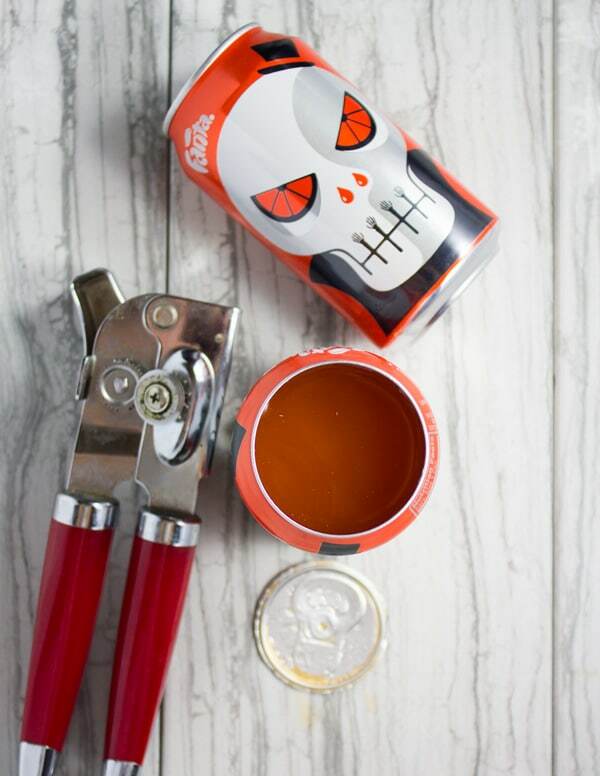 We got a few things last week to make our Halloween Boo bags, we got our kiddie tablescape, dinnerware and fun, and we also got our adult version. As you guys know we just moved to a new area a few months ago and we’re still getting to know our neighbours—and what better way to make friends other than a welcome to the neighbourhood Halloween party? 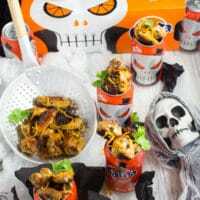 So I’m starting off the celebration today and sharing my awesome baked chicken wings recipe, which yes you guessed it, will be part of the grown ups party. And can you guess from the photos what the secret ingredient is? 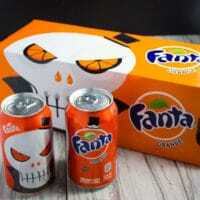 YES it’s Fanta® Orange! 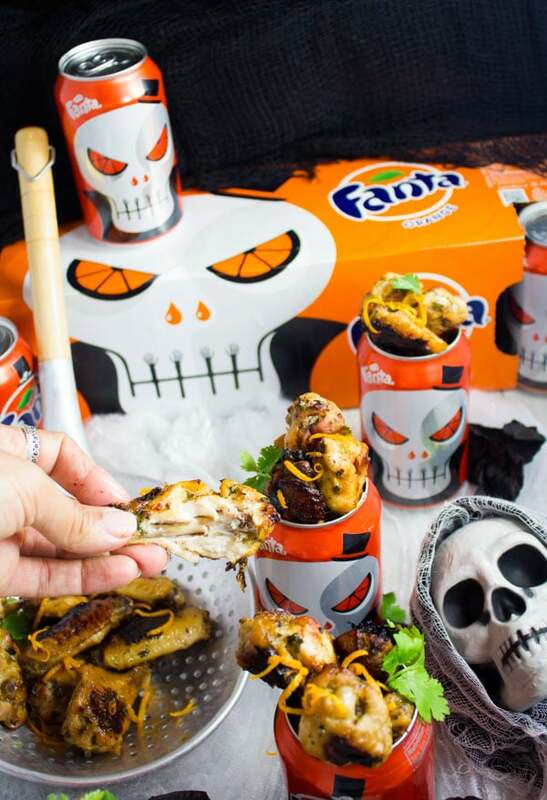 But wait, before I get to how the Fanta kicks up my baked chicken wings—can I just say I absolutely LOVE the spooky design on the package! Like seriously in LOVE with it. It’s brilliant. Specially those orange slice eyes! When I went to buy these at the Family Dollar store, I was so excited-I’m sure people thought I’m a bit crazy lol. 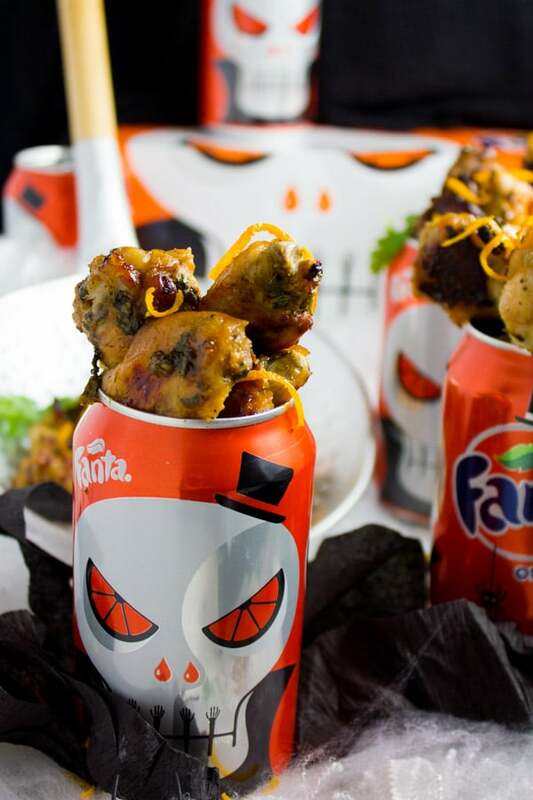 To up my wickedly good fun with Fanta this Halloween, I’m using the Fanta cans for serving my baked chicken wings. 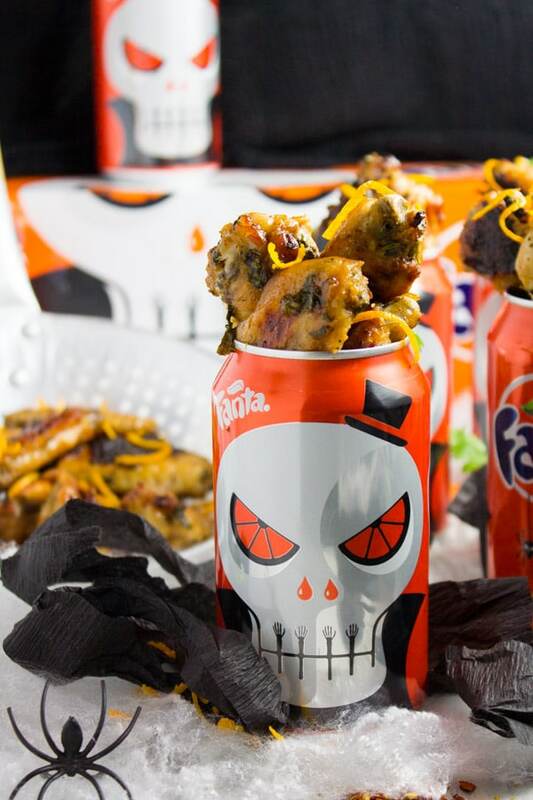 I used my good old can opener and opened up my Fanta cans (perfectly neat and no sharp edges whatsoever), then I used some of the drink for the wings and I froze the rest in ice cube trays. I love just crushing the iced Fanta later and serving it like a slush with some chia seeds sprinkled for a spooky feel. 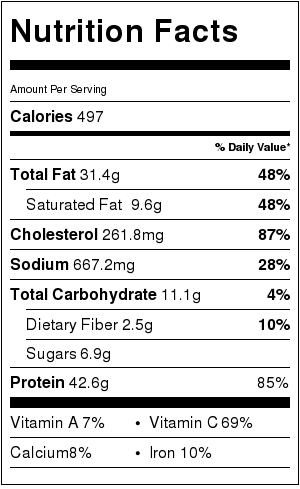 Ok let’s get back to those killer baked chicken wings. My favorite way to do wings is to bake them with salt, pepper and a teaspoon of oil until they’re cooked through. Then I prepare a fabulous flavorful mix to toss the wings with and bake them again until perfectly flavoured and crispy. 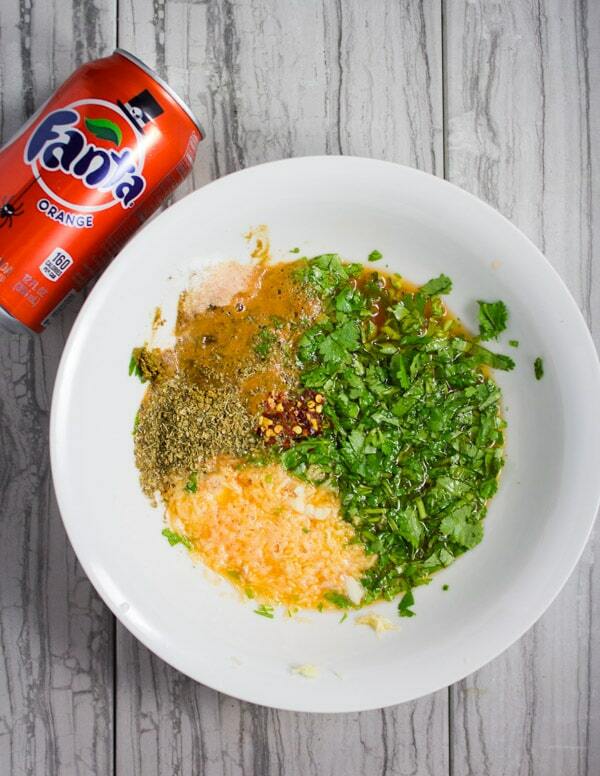 Today’s flavor packed mixture is a combo of Orange Fanta (perfectly sweetened and naturally flavored with orange), plenty of garlic, cilantro, some oregano, cumin and chilli flakes. 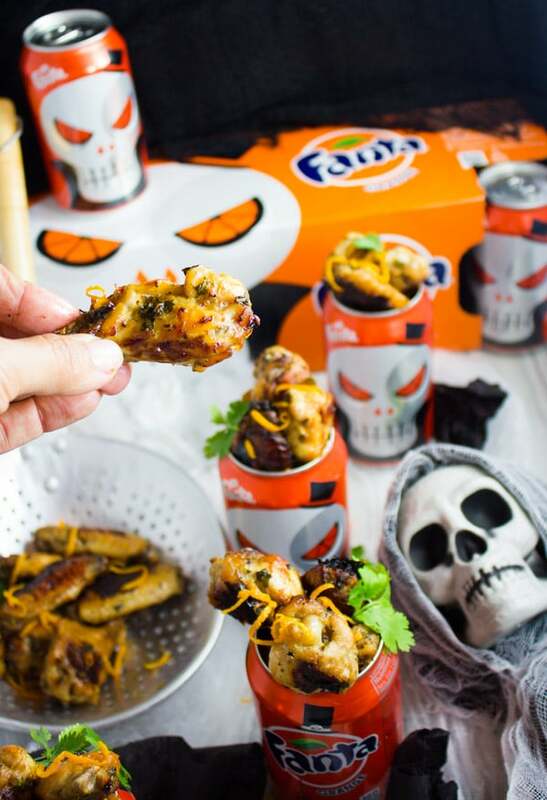 After the chicken wings are baked the first time—they’ll be fully cooked, and while they’re still hot and right out of the oven, toss them into this Fanta flavorful mixture and let them drink up as much as possible from it. 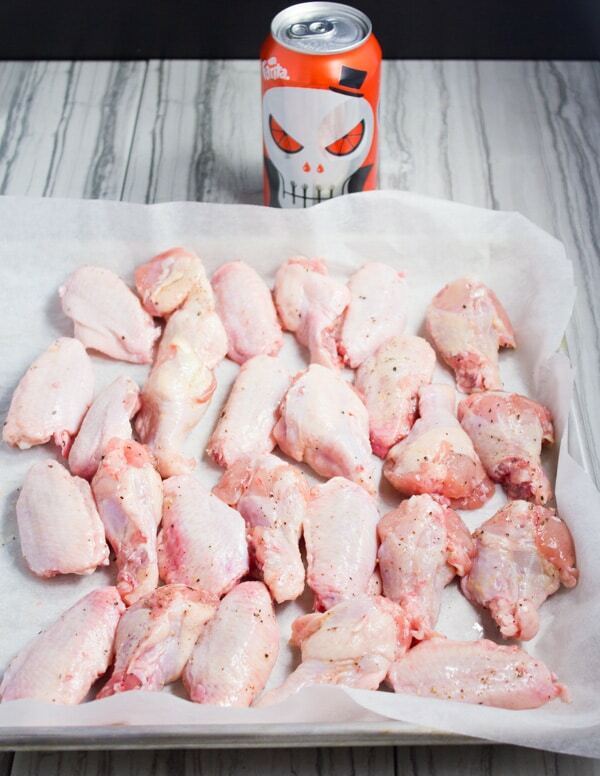 Then scatter the wings back on a baking sheet and add in any extra Fanta mixture. Now as they bake for the second time, the sweet and spicy orange mixture will infuse the chicken wings and caramelize on top. This creates a sticky, crispy and insanely delicious taste to those baked chicken wings! 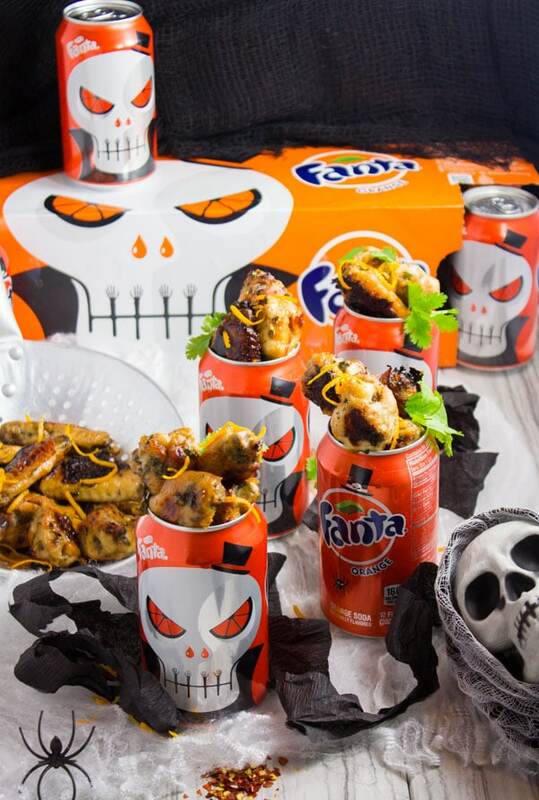 Now all you need is to pack those addictive little wings into the spooky Fanta cans. Stack them up really high. Sprinkle some orange zest and cilantro leaves if you like—and this perfect sharable party food is ready to devour! I can’t urge you enough to try these baked chicken wings—they were too GOOD! 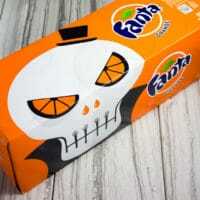 And look for this brilliant new Fanta packaging designed by “Noma Bar” at your local Family Dollar store—it adds plenty of spooky good fun to your Halloween table with no effort! I’ve seen plenty of other fun Fanta flavors ( grape, strawberry, peach, pineapple, grapefruit and cherry) and I can imagine a few of them would go great with this recipe too, or just on their own! 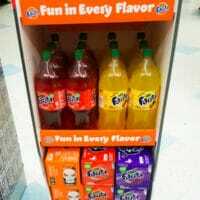 Plus you can Save $1 when you buy (1) Fanta 12-pack 12oz cans AND (1) Red Baron pizza 12oz or larger, with digital Smartcoupon at Family Dollar (10/24/16 – 10/31/16) and you can follow them on Facebook,Twitter , Pinterest and Youtube. Toss the chicken wings with the salt, pepper and olive oil. Spread them on the baking sheet in a single layer and bake them until cooked through—15 mins. In a large bowl, mix the Fanta and remaining ingredients. Mix them well. 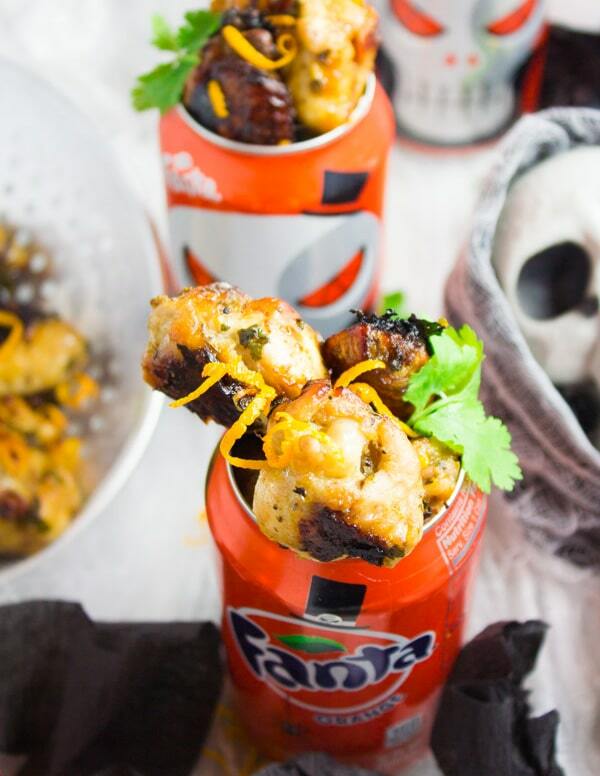 When the chicken wings are done and while they’re still piping hot out of the oven, throw them in the Fanta mixture and toss well. Pour the chicken wings and Fanta mixture back on to the same parchment lined baking sheet and bake for another 15-20 mins until all the moisture has evaporated, the chicken is sticky and golden. Serve the chicken wings with a sprinkle of orange zest and cilantro leaves. 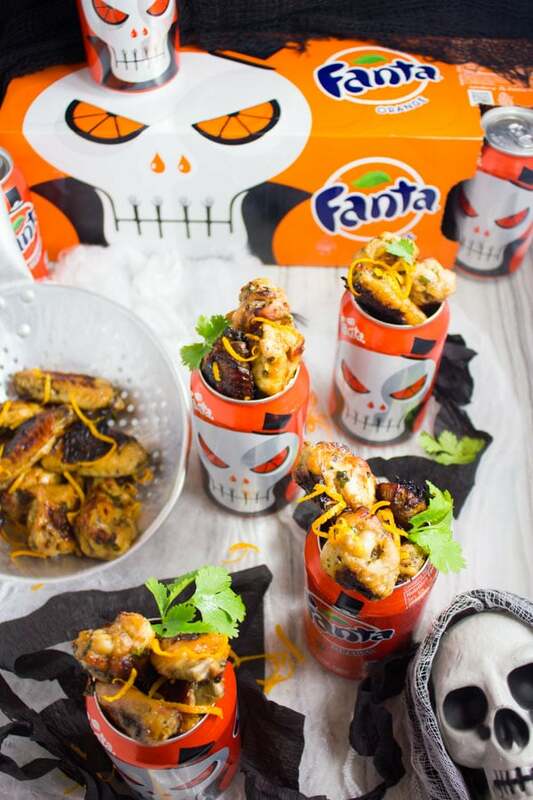 **To serve the chicken wings in Fanta cans, take a can opener and use it to open the Fanta cans at the top all the way through. Empty the Fanta drink and set aside—you don’t need to wash them at all! 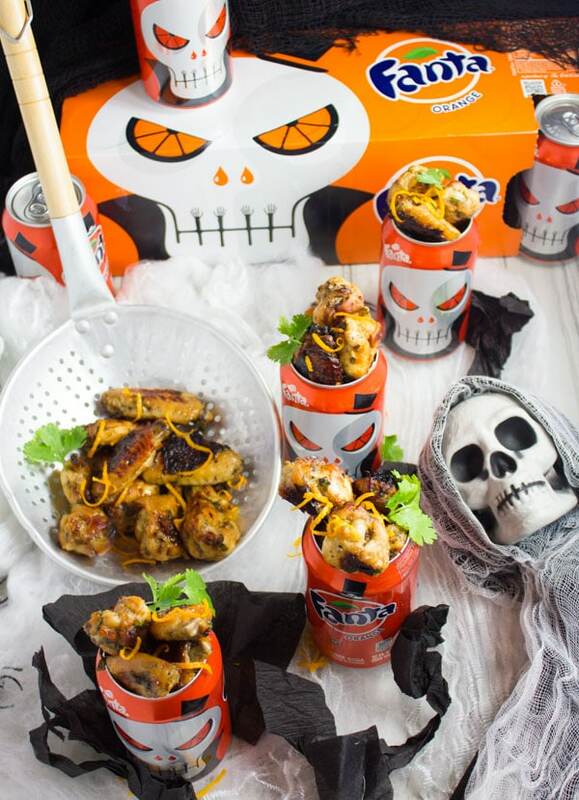 When the chicken wings are done, stack them in the cans and serve.